With a mix of futuristic style and acceptable sound quality, the Edifier e25 Luna Eclipse desktop speakers are quite interesting. For $199.00, they do sound pretty good and they also have great style (in our opinion) but that doesn’t mean that there aren’t any downsides to the speakers, especially when they are put up against the dozens of other $200 desktop speakers that are on the market. These speakers are available in three different colors, red, black, and white. Though we only tested the black ones, I’d definitely say that the other colors are equally good looking. Other than the ports on the back, an LED light on the front, and volume/power touch buttons on the side of the right speaker, there isn’t too much to see with the Luna Eclipse 2.0. The LED button is visible as long as the view of your speakers is not obstructed and it allows you to tell if they are on or connected to a Bluetooth device. 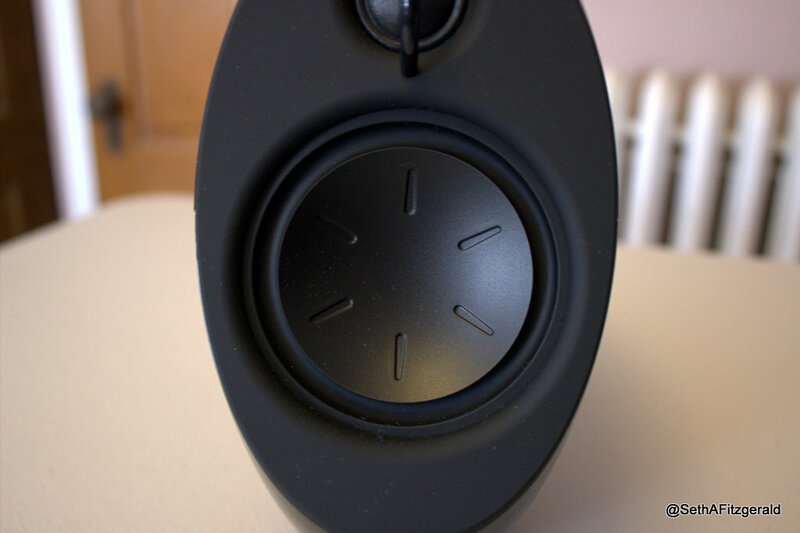 The power and volume buttons on the side of the right speaker are a bit tricky to use and for some reason, unless they are touched just right, don’t seem to be very responsive. 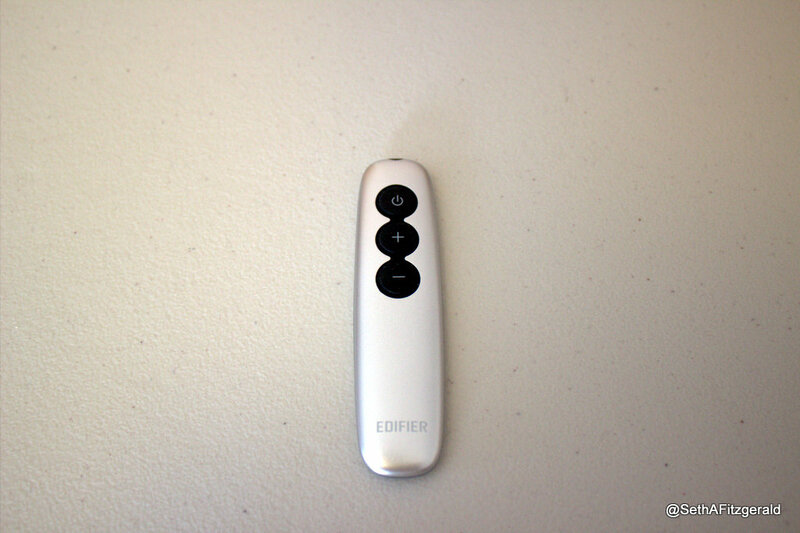 With almost any setup, the included three-button remote is easier to use anyways but it was disappointing to see that the touch buttons didn’t pick up commands as well as they should. If you can get the buttons to work however–our unit may have been finicky for some reason–there are a few other commands that you can use the buttons for. By pressing all of the buttons at once you can pause/play a track and by swiping from power to volume down, you can move to the next or previous track. Even though the speakers are Bluetooth-ready, I found myself primarily using them plugged-in since the speakers aren’t portable. However, during the Bluetooth testing, I was impressed by how fast the connection was. If you do like to use media speakers like the Luna Eclipse 2.0 with a Bluetooth sound source, you won’t be disappointed. 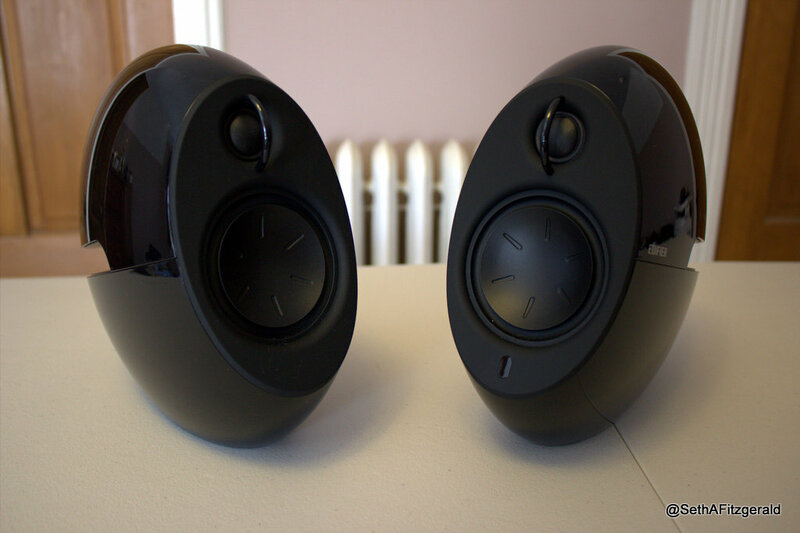 Due to their odd shape, it is not necessarily easy to fit the Luna Eclipse 2.0 speakers anywhere but they at the same time, they are quite small. With a long 6-foot 6-pin cord that runs between the left and right speakers, you should be able to use them with almost any setup without being limited by the length of the cord. 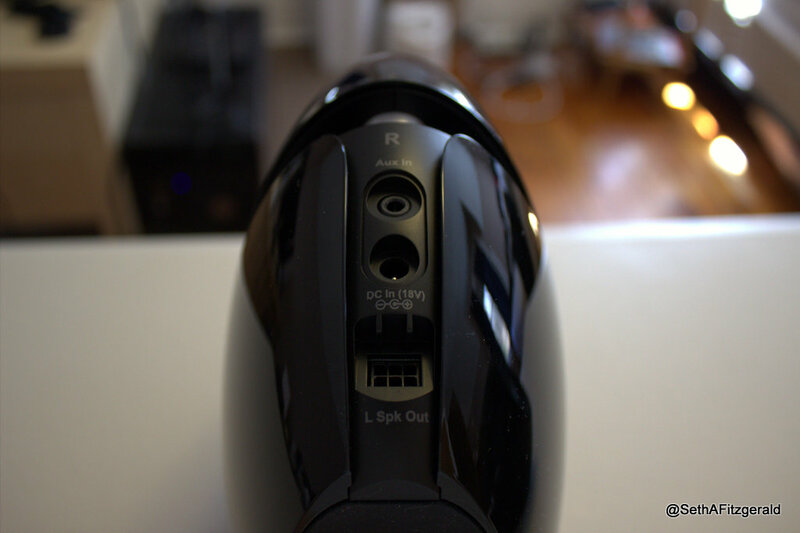 The left speaker only has a six-pin port though the right speaker also has a 3.5mm port and a power port. 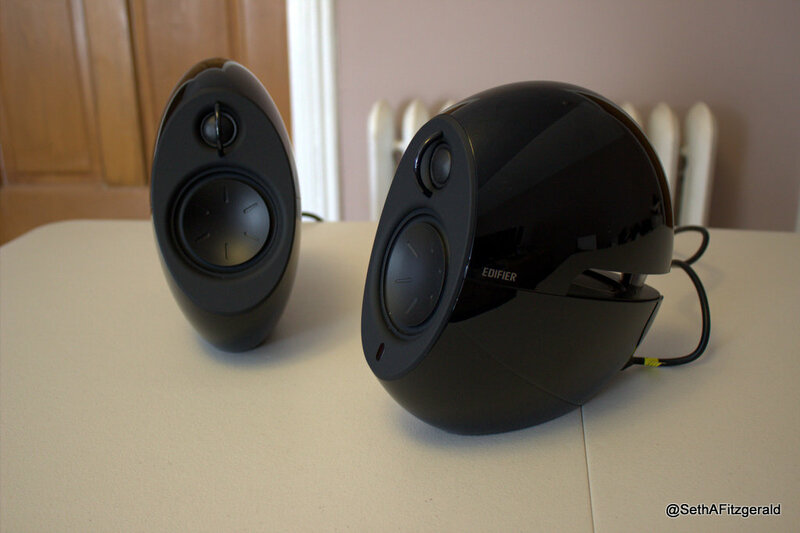 Given the relatively small size of the Luna Eclipse 2.0, you cannot expect them to provide window-breaking sound but for use as desktop speakers, they do provide more than enough power. While simply listening to music or watching a movie, I found that having the volume up just half way was comfortable and while in that volume range, there was little to no sound distortion as well. Actual distortion (crackling, for example) was only sometimes present when the volume was turned all the way up. Since the crackling was infrequent, it didn’t substantially take away from the sound quality but it is something to keep in mind if you enjoy cranking up the volume. 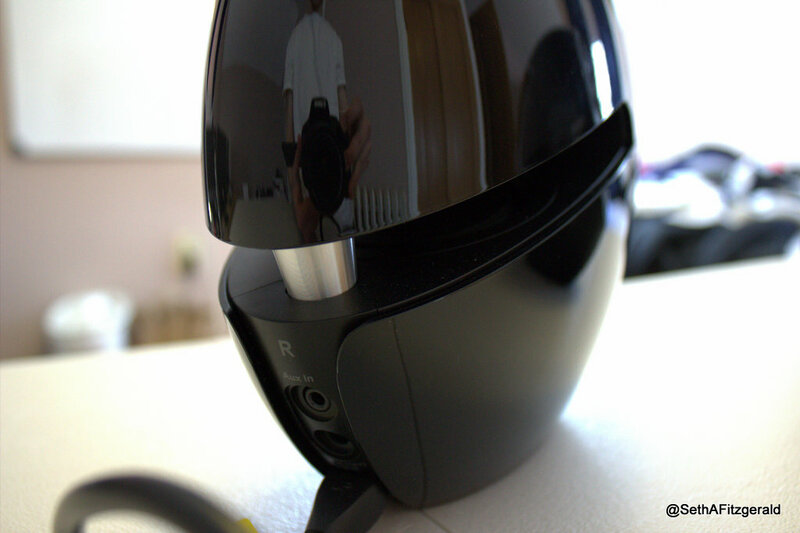 In general, the sound signature was about what you’d expect from a pair of $199.99 speakers which means that the bass wasn’t impressive–nor was it bad–but everything else sounded just about right. I’ve personally checked out many $200 speakers in the past and in comparison to many of them, the Luna Eclipse 2.0’s bass performance is great. That being said, someone who is used to more expensive and accurate speakers will notice a difference when switching to these. Moving up through the mid-range, the speakers are very spot-on with their sound reproduction. The only time that songs would sound particularly jarring is with the high-range but that was generally an issue only when the speakers were turned up to their max. 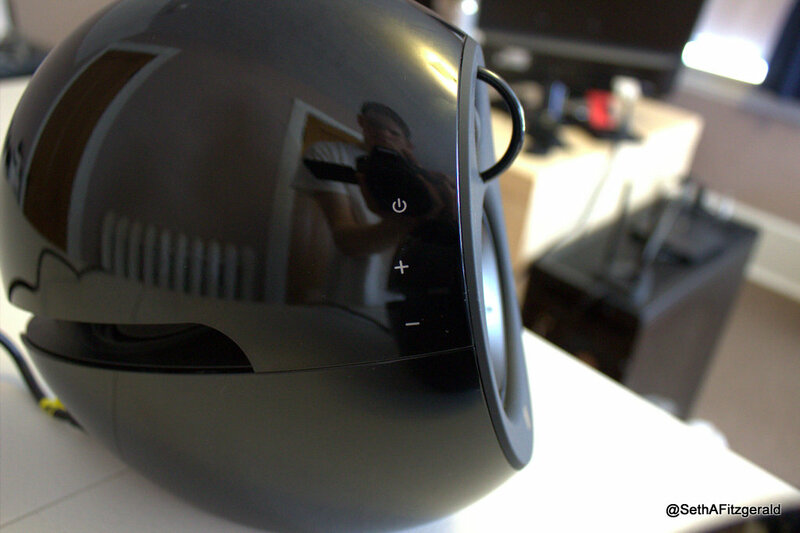 The Luna Eclipse 2.0 Bluetooth speakers look great and will blend in well with most setups. Though it is impossible to escape all distortion with them, the sound reproduction present with these speakers is great considering the $200 price tag.